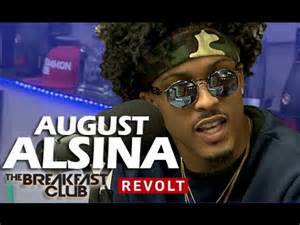 Today, singer August Alsina, went on The Breakfast Club to promote his new music (as all artists do). But unlike most artists, August isn’t afraid to open up about his life and what’s really going on in it. In this interview, August talks about issues he has with his family and his battle with depression and thoughts of suicide. A lot of celebrities, and everyday people, put up a façade on social media and present only the highlights of their lives or what they think would be pleasing for others to see. You see it everyday on Instagram; money, cars, clothes, girls, etc., all to try to impress everyone else. However, EVERYONE goes through trials in life that leave them emotionally hurt. Some may choose to address it and learn from that experience, but others will ignore the pain caused and never fully heal. I’m not saying that you should put everything that you’re going through on social media, but I think social media is very misleading and should not be taken farther than face value.